A domino can be used as a fun chopstick rest. Here are some fun and creative ideas for improvising chopstick rests and holders. The chopstick rest is the fun and jovial counterpart to the more serious chopstick. And although there are beautiful and fun chopstick rests available, sometimes it can be fun to experiment. 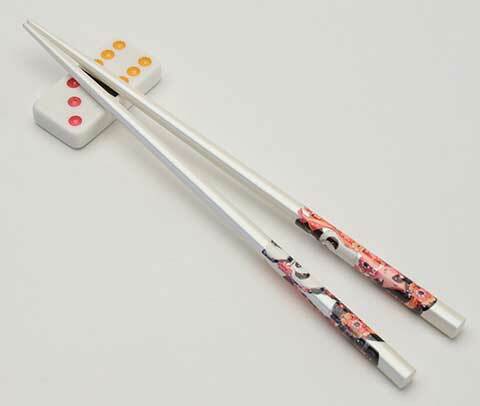 Dominos make great chopstick rests, especially the thick white smooth plastic dominos that are easy to wash.
Small origami cranes, elephants and other animal figures make fun and colorful chopstick rests. Those little 3 inch toy skateboards are a perfect chopstick rest. And think of the fun they'll inspire at the dinner table. Tops, especially classic wood tops with a center finger spindle can make wonderful chopstick rests and come in fun colors. 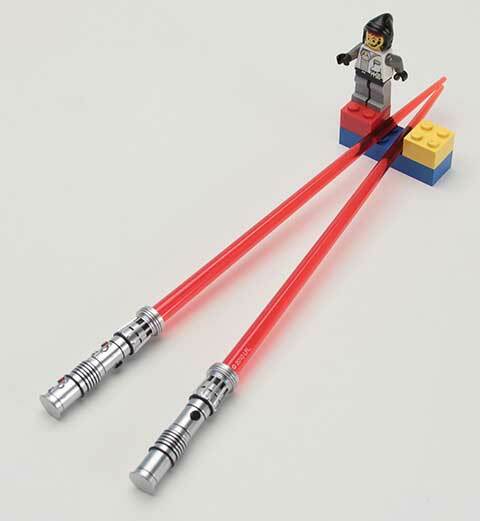 Build little different shaped figures of legos to make fun chopstick rests. Lego people are too unsteady but can work if affixed to a broader Lego base. Send us your creative chopstick rest ideas. Email us through EverythingChopsticks.com where you can also find a wonderful selection of traditional and fun chopstick rests.